I tried this out for the first time, last night. I tried to document my body test, but the video on my camera isn’t that great (another thing I need to look at replacing). Unsurprisingly, it called me overweight with a BMI of 27.95 and weighed me at about 168 lbs. BMI is not a very good measurement for my obesity because I’m rather stocky (heavy for my short height – all this muscle, you know), and height and weight are the only factors. However, I could definitely stand to lose a few pounds, so I set an 8 pound goal over 1 month. It gave me an initial Wii Fit age of 41, which basically means I haven’t gotten used to the balance board yet – I’m sure I could get a better age doing the test again. So far, I’ve only tried a few games and a couple exercises, but I enjoy it! I really like how it tracks and graphs your progress. Posted on Sunday, June 29th, 2008 at 12:23 pm. 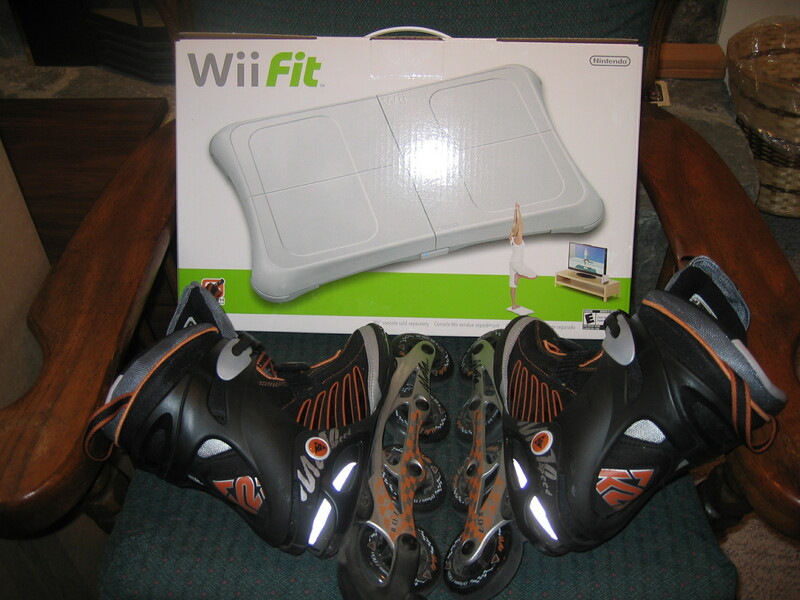 Tagged with: Games, Photos, Rollerblading, video, Wii, Wii Fit, Youtube. izm99? So you start lying about your age now? @Shirley: If you look, it says I joined over a year ago, so I’ve been lying for a while.